Jewellery can be so many lovely things, a joyous celebration of a special event, a keepsake of a treasured relationship or an expression of your unique take on life. People often put a great deal of thought into choosing a piece of jewellery – yet much of the time we’re missing a really important question. Is this jewellery ethical? Has its creation been kind to people and planet? Did you know that the average goldmine uses enough water to meet the basic needs of a large city’s population for a whole year? Or that 40% of all reported toxic pollution releases are caused by the mining industry, which is also the second largest contributor to greenhouse gases? The good news is there are ethical choices out there and you don’t have to compromise on aesthetics either! One such option is Sydney-based jewellery label Zefyr. I’m delighted to share with you my recent interview with Founder and Designer Tanya Coelho. Q. You come from a family of craftspeople, but what is it about jewellery in particular that sparks your creativity and passion? I think it’s the medium itself. I tried working with clay, fabric, wood and glass in the past but we weren’t friends. It was metal that stole my heart. I love soldering, beating the metal, shaping it, everything about it except sanding. Jewellery in particular appealed because I love the idea of creating beautiful objects that make people feel beautiful just by wearing them. Jewellery also has this amazing totemic ability. We add layers of meaning to our jewellery in a way that other worn objects don’t. A particular jewel can connect us to our past, it can remind us of a particular event, and it can connect us to the important people in out lives. Q. How would you describe Zefyr’s aesthetic in 10 words or less? Exotic, romantic, global and sophisticated. Q. What makes Zefyr an ethical choice for shoppers? All our jewels are created sustainably from recycled silver or brass. 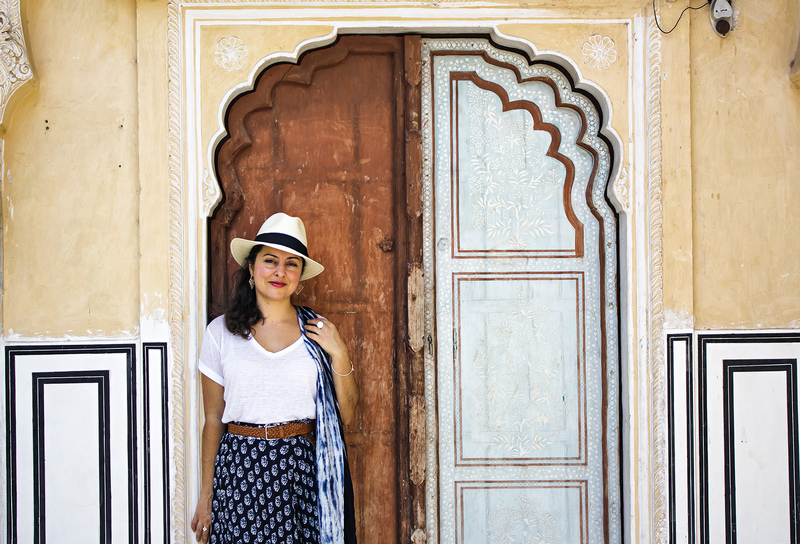 They have also been handmade ethically by artisans in Jaipur with fair labour practices. Beauty is really important to me so I have tried to create jewellery that not only looks beautiful and makes you feel beautiful to wear but has also been created beautifully with ethics at its heart. Q. If you could change one thing about the global jewellery industry, what would that be and why? Oh god, where do I start? For one thing I think we should cut down on the large-scale mining of metal due to the huge environmental implications – the waste, the chemical leeching, the displacement of local communities. We need to recycle more. There’s enough metal on the surface for us not to need to mine for the next few decades. The other thing I would like to change is the working conditions of the artisans making the cheap jewellery you find in chain stores. Most of the fashion jewellery you buy contains nickel, which is carcinogenic. This means that many of the workers face untold health problems in working everyday with this toxic material. Q. Can you tell us a little bit about why you’ve chosen to work with brass as one of your main materials? I initially chose brass, as brass is one of the most highly recycled and recyclable metals available. We have now been fortunate enough to discover a source for recycled silver after a long and fruitful search. In the early days of my business this option just didn’t exist – or least I wasn’t able to discover it. Waste is something I abhor and by creating fashion jewellery in brass I wondered if I wasn’t creating more objects that would have a use by date and then be discarded. Instead I have decided to focus on creating jewellery that can last a lifetime and perhaps even be passed on to other generations. With silver this is possible and with brass it wasn’t. The wonderful forts and palaces I visited in Rajasthan and Jaipur earlier this year have filled my head with visions. I’m about to hit the bench to start creating new jewels inspired by the romantic architecture and textures I saw in that corner of India. I’m also really inspired by the beautiful gems I picked up on my travels through Jaipur. I love their colours and I can’t wait to start playing with them. Q. Your new collection is called Monsoon – what was the inspiration behind these new pieces? I was inspired by my travels to the north of Laos. While I was there I was lucky enough to stay with some of the Hmong Hilltribe people. Their geometric and colourful embroidery that they create in their textiles was so beautifully detailed and jewel-like. I was inspired to create in metal something that the Hilltribe peoples created in thread. I was there just as the Monsoon season was starting so got to see the enormity that is this seasonal event. Click here to see the new Monsoon Collection! 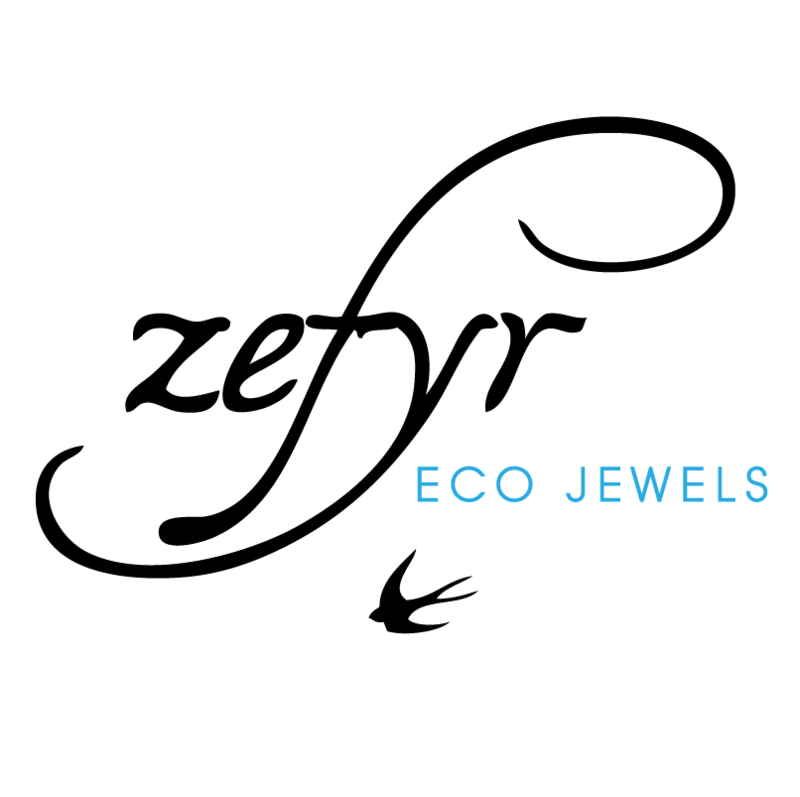 You can also connect with Zefyr via Facebook and Twitter.